The Nike SB Zoom Janoski Mid RM SE delivers performance with a premium finish. The updated Zoom Air unit is thicker for even more responsiveness, while the flexible midsole gives you better boardfeel right out of the box. Durable suede has a broken-in feel. Zoom Air unit in the sockliner provides responsive cushioning. Mid-top design hugs your ankles. Auxetic shapes between the midsole and the outsole expand and contract in all directions to help enhance boardfeel and deliver consistent flick. Translucent gum rubber outsole shows off the internal auxetics. Gum toe bumper enhances durability. Perforated Swoosh design features a reflective backing. 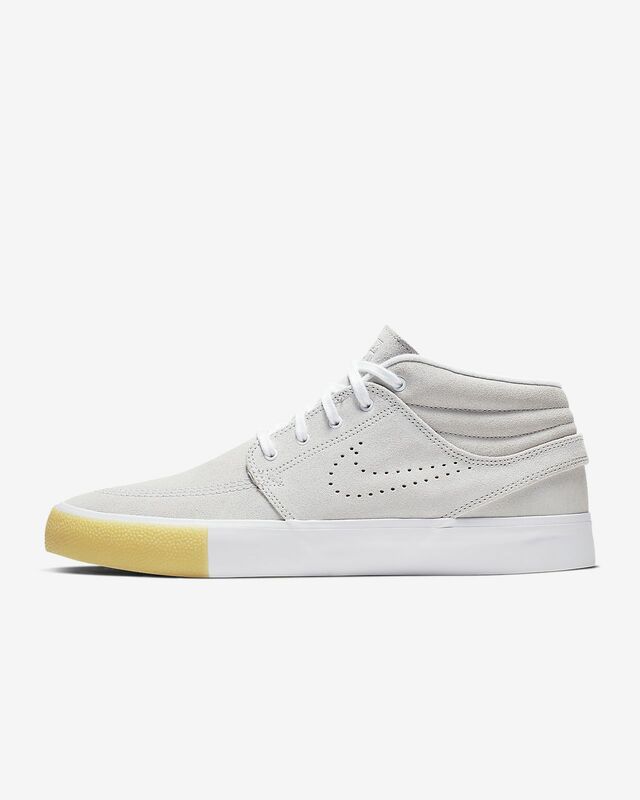 Janoski logo tag is debossed on the tongue. The sockliner has been re-engineered for improved cushioning and lasting comfort. Have your say. 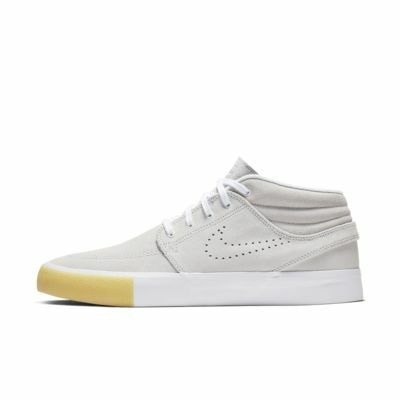 Be the first to review the Nike SB Zoom Janoski Mid RM SE.